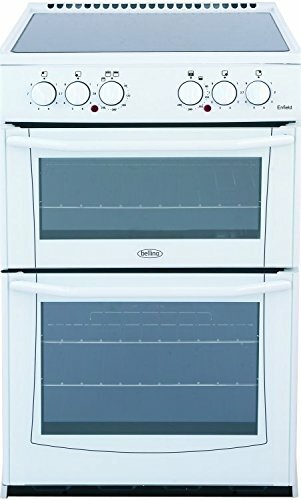 The Belling E552SIL electric cooker. Finished in stainless steel this cooker is glamorous and ready to impress you with its ability to provide your kitchen with some show-stopping food. Starting at the bottom of the bill we have the 59 litre fan oven, decked out inside with easy clean enamel linings. Once you've finished roasting and baking, it's nice to know you won't have to spend double the time with the oven cleaner and marigolds. However, with so much great food on the go, you may have to deal with the odd smudge from noses being pressed up against the glass. However, it will clean easily thanks to the air-cooled fascia. Next up is the top cavity which is home to 31 litres of conventional oven space and a fixed rate grill element for perfecting that golden brown colour on any dish you fancy trying your hand at. You can even use it for keeping food warm or re-heating any platefuls for the late-comers.